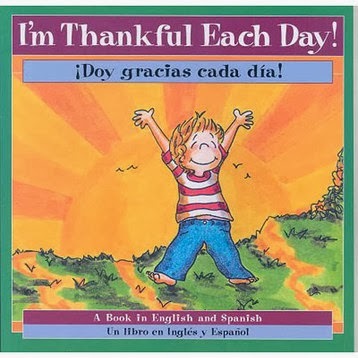 Read: “I’m Thankful Each Day” by Hallinan and P.K., This book combines both English and Spanish for educators and second language speakers. Every day there is something new to be thankful for. Have the children act as Turkeys as you recite this rhyme. Materials needed: Construction paper, marker, scissors, tape or ticky tac. 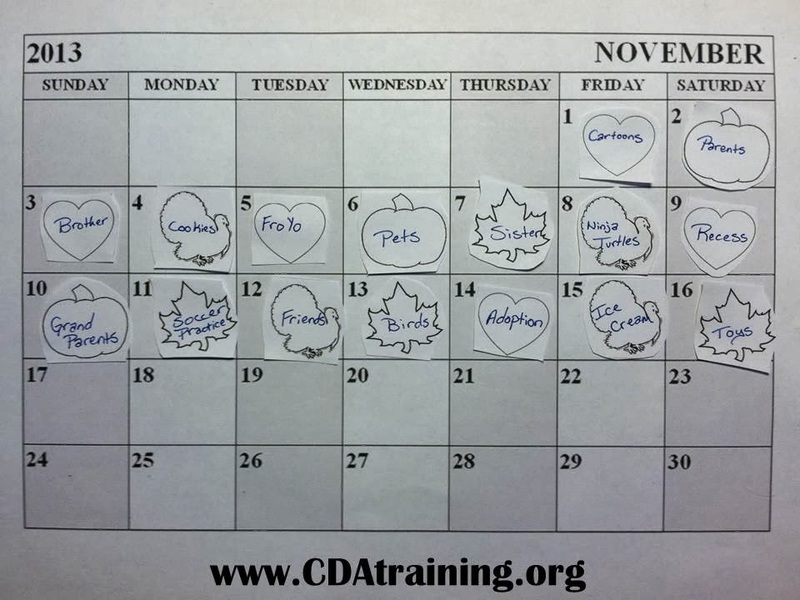 Directions: Print off a copy of the calendar posted below, you can use the stencils provided, or create your own. Instructions: After reading the story, ask the children what they are thankful for. Write it on the shape and put it on the calendar for each day. 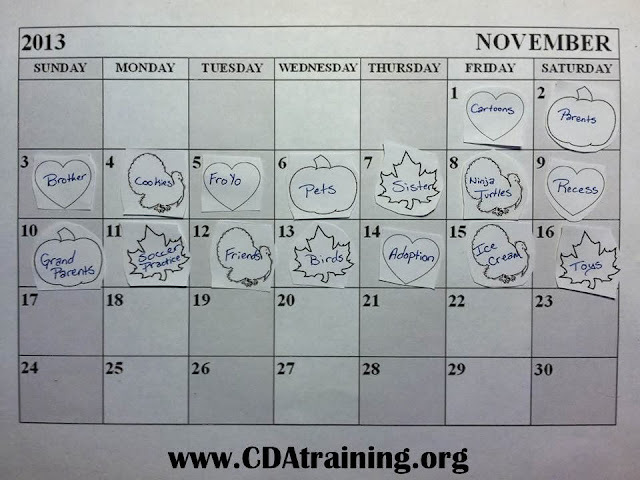 By the end of the month the calendar will be filled with things the children are thankful for. 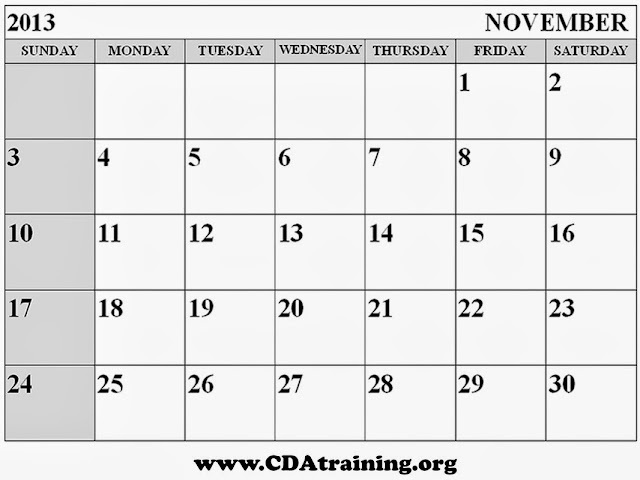 Read each one every day until Thanksgiving. 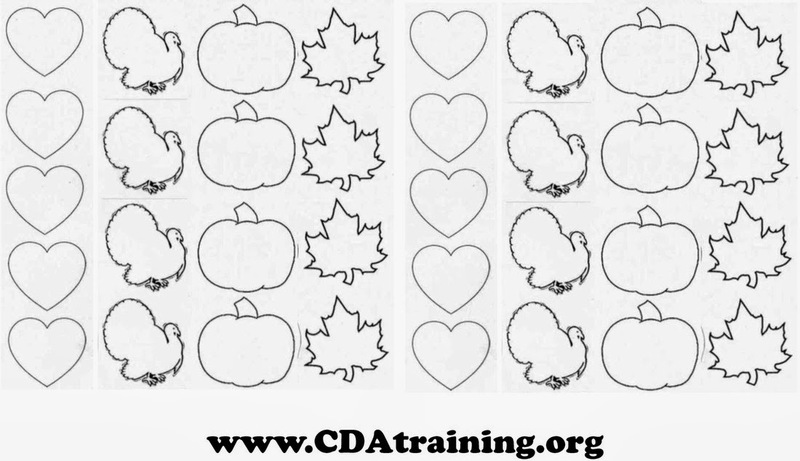 Extension: Cut out or use a picture of a cornucopia for each child. Cut out vegetable or fruit shapes and let each child write something they are thankful for each day. Then send their picture home with the children for Thanksgiving to share with their families.